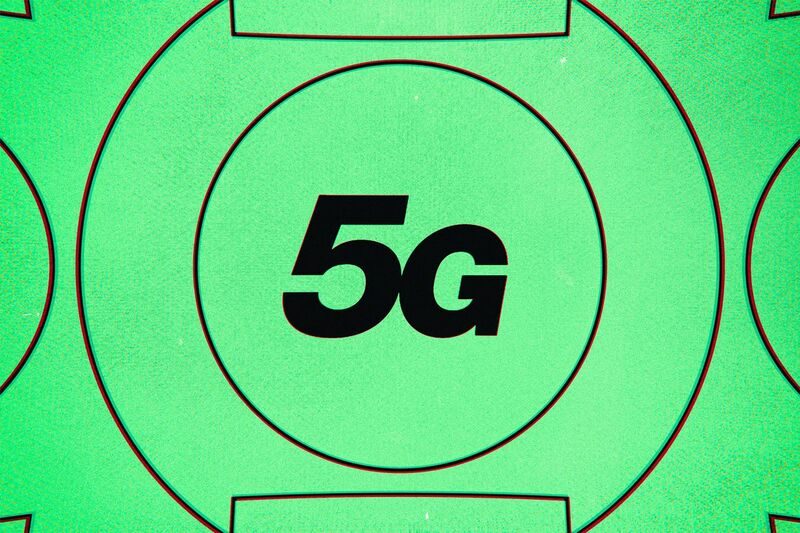 AT&T and Verizon had big 5G-related announcements this week: AT&T published speed test results that seemingly validated its network (including its 5G E network) as the fastest around, and Verizon launched its 5G network in parts of Chicago and Minneapolis. But both of these announcements underscore just how much of a mess 5G is right now. AT&T’s results appear to be skewed in the company’s favor, and Verizon’s rollout seems slapdash, with poor coverage even in the areas that Verizon promised. Take AT&T. 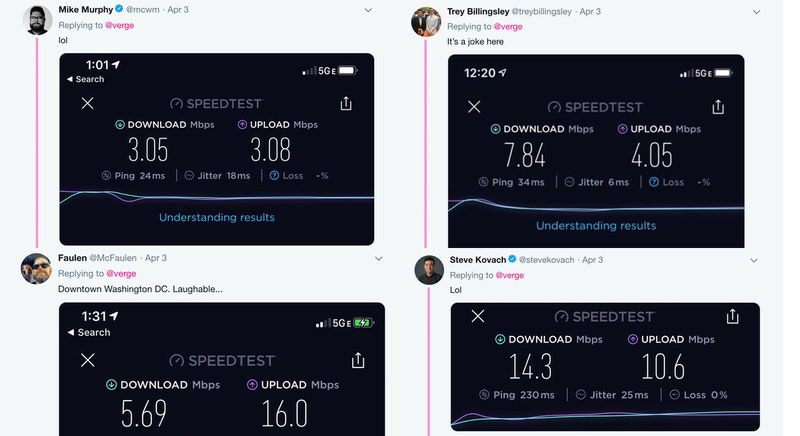 The company seemingly scored a win this week by announcing that recent Ookla speed tests had found its network to be the fastest in the US, in part fueled by the company’s recent 5G E network (which again, is LTE, not 5G) — buoying the company’s message that the 5G E brand would help cement AT&T’s reputation ahead of its actual 5G launch later this year. 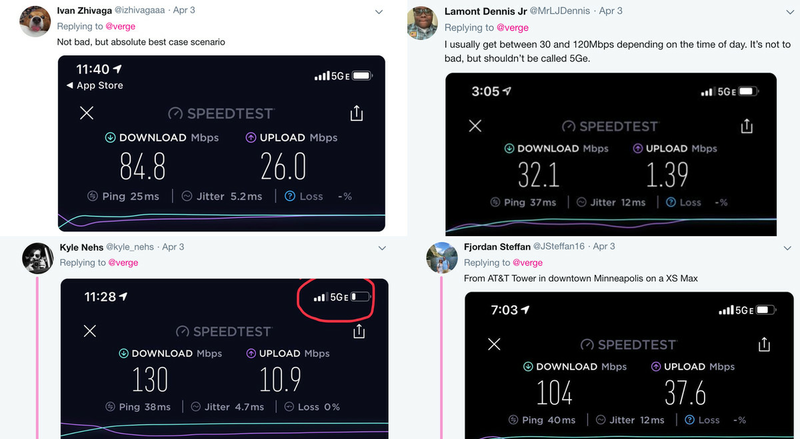 Now, those speeds aren’t entirely misleading: Ookla says that, on the whole, speeds on 5G E devices really were faster than AT&T’s average speed — which makes sense since these are the devices that are designed to take advantage of the LTE-Advanced innovations that AT&T is using here. Ookla does note that AT&T was already on track to have the fastest network that quarter even before iOS 12, and that the 5G E tests helped solidify that lead. Update April 8th, 9:15am: Clarified Ookla speed test results to note that AT&T was already on track to have the fastest speeds even before the 5G E results from iPhone users came in. Update April 11th, 4:25pm: Clarified that AT&T’s network claims aren’t exclusively based on 5G E speeds.